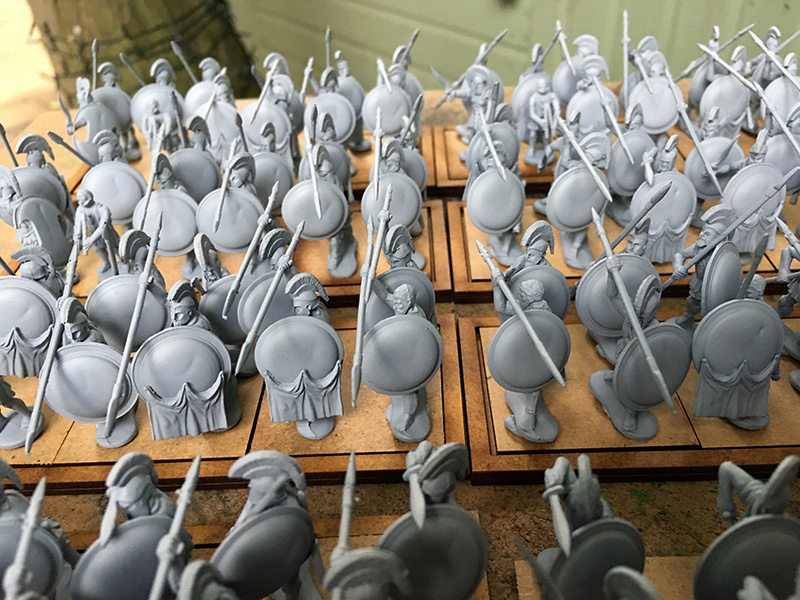 For the last week or 10 days I have been mainly building ancient Greek Hoplites. 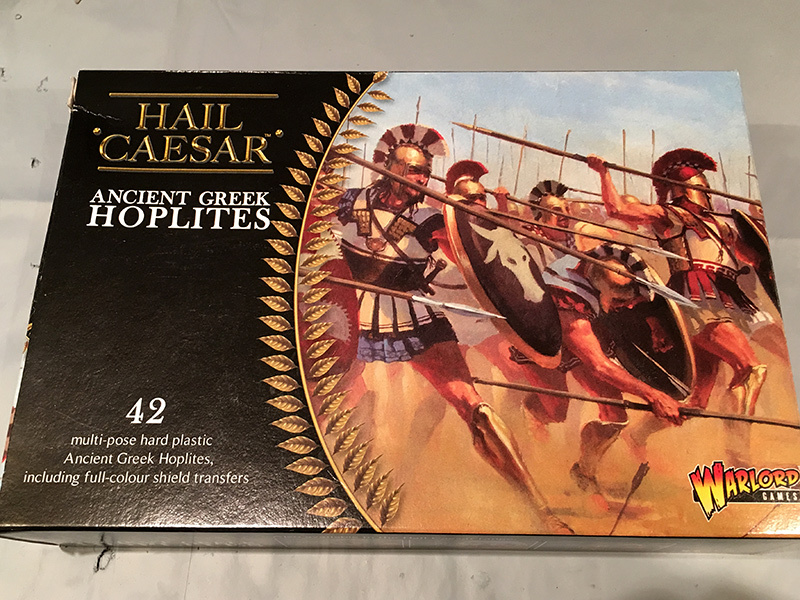 I bought a Hail Caesar Ancient Greek Hoplites and a Greek Phalanx box a couple of months ago and they have been sitting by the side of my desk along with quite a few other ancients. 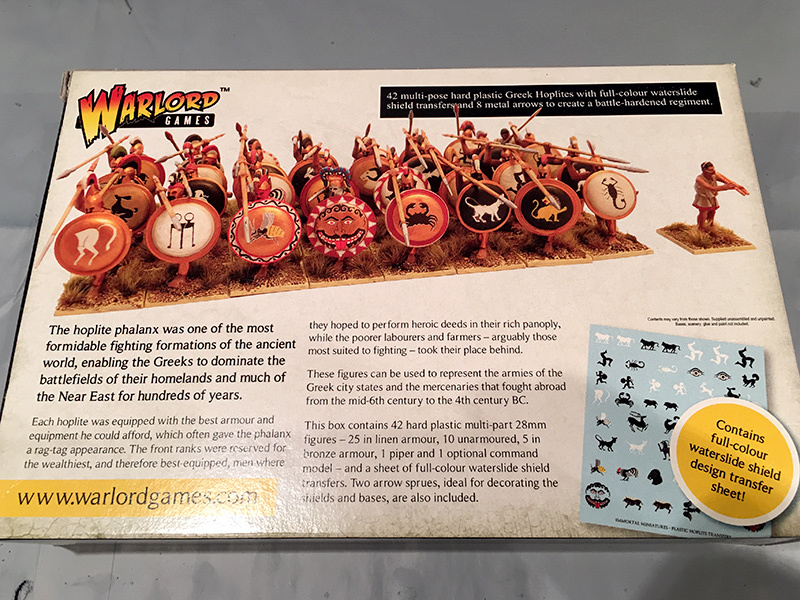 In the recent Warlord Games half price sale I took the opportunity to grab another 80 figures, so this week I have out them all together. They go together OK, no real problems fitting the arms but a few of the arm positions mean the spears are really close to the face and/or shield. I can envisage a couple of issues with painting the rear of the shields as they are close to the body. It may be easier to paint them off the figure and attach after. Also, the heads are so close to the shield that it might be a bit tricky painting the faces. 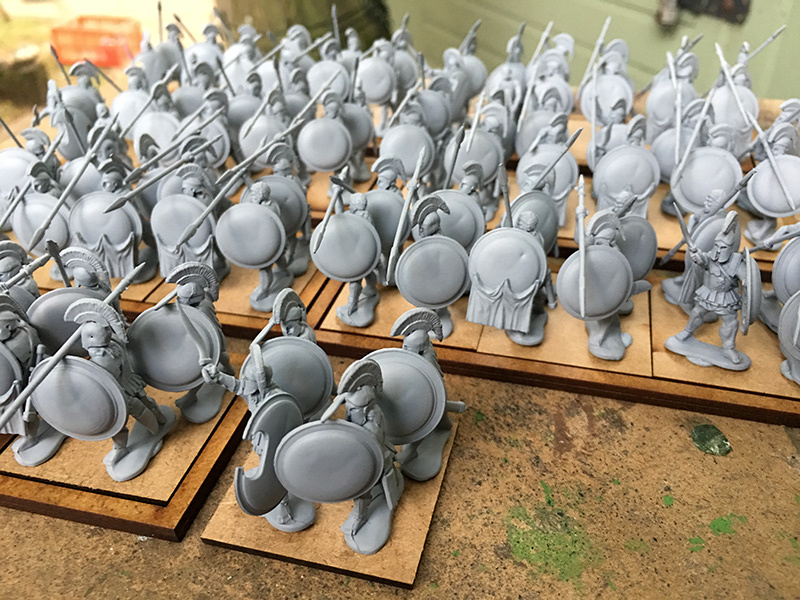 I bought the bases for my ancient figures, they are from Warbases.co.uk. 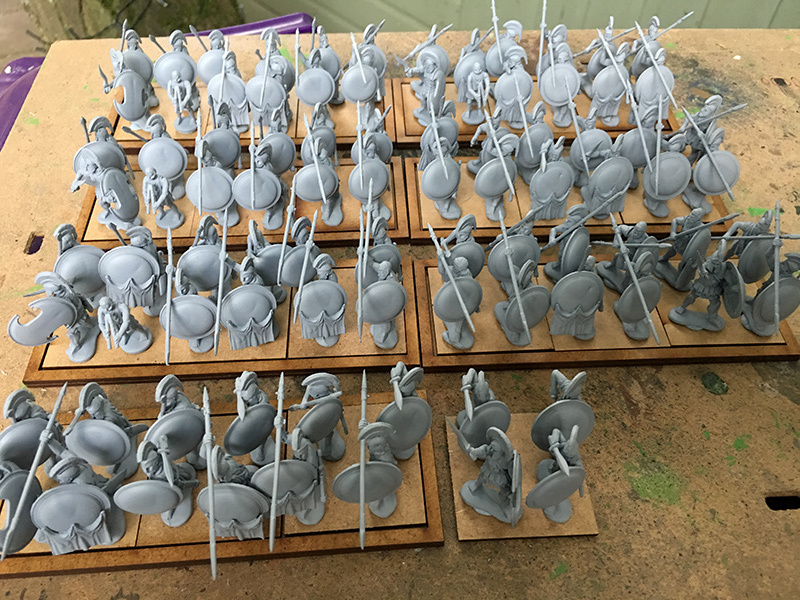 The figures are currently blu-tac’d to 40mm square bases and then three fit in the 40 x 120 mm movement trays. 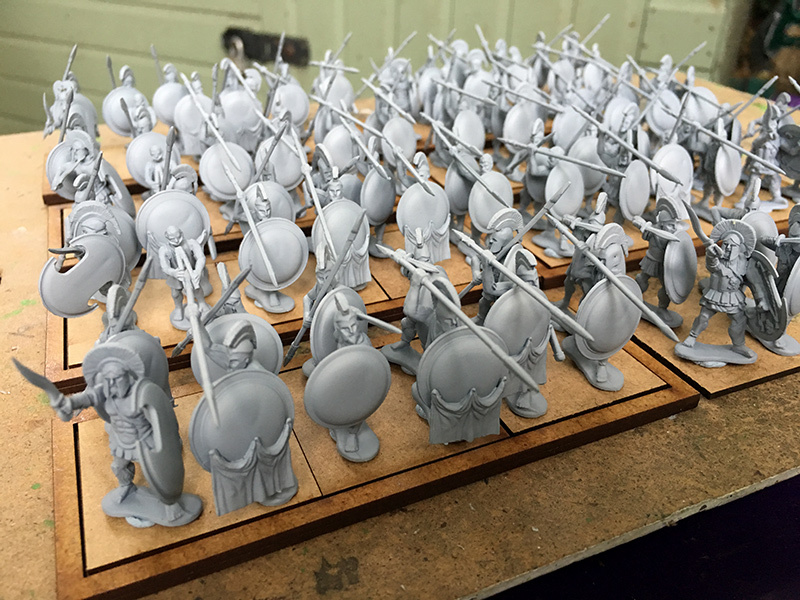 I placed an order for more movement trays yesterday; 40 x 80 and 40 x 200 as I am building units of 20 figures.